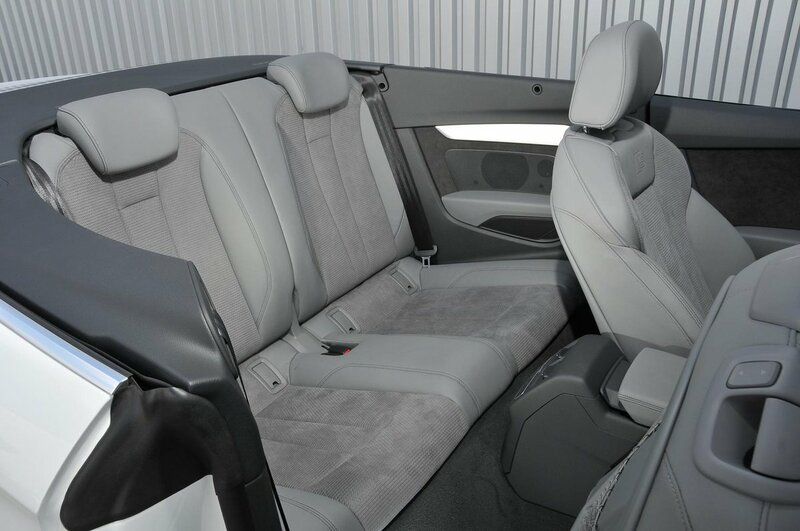 Audi A5 Cabriolet Boot Space, Size, Seats | What Car? 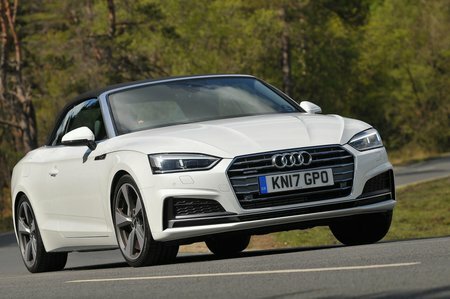 Clearly, you won’t be considering an convertible if space is your number one priority, but the A5 Cabriolet isn’t as impractical as you might imagine. A couple of average-height adults will just about fit in the back, although they’ll have to slouch to keep their heads from brushing against the rooflining if the roof is up. With that in mind, the rear quarters are best kept for children or titchy adults, and on short journeys. Officially, there’s more boot space than in a BMW 4 Series Convertible or a C-Class drop-top. 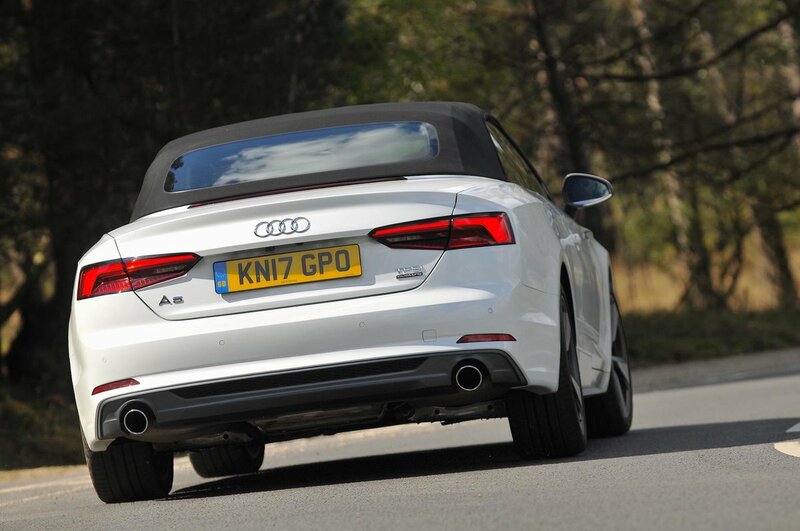 But the differences are small and the A5 Cabriolet’s load bay is certainly usefully square. Indeed, we fitted more bags inside with the roof up than we could in a 4 Series Convertible. Unfortunately, having the roof down does reduce load space, although there’s still more than you’d get in most superminis. Rear seats that split and fold 40/20/40 are standard on all but the S5 and, when down, they leave only a gentle slope in the floor of the extended load bay. Front space is much better; even if you’re extremely tall, you’re unlikely to have any complaints about how far your seat slides back or how much room there is above your head.